If there's one thing that is awesome about the British summer, then surely it has to be festivals. 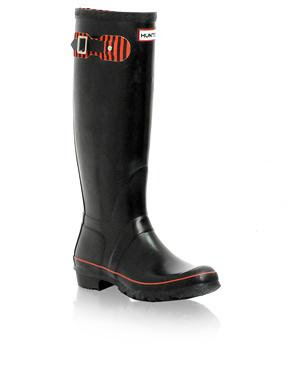 I'm hopefully off to Latitude again this year and I'm very tempted to grab these Hunter wellies to see my through any potential mud! Currently half price on the ASOS Outlet site, Hunter are of course the wellington of choice for any stylish festival goer and I'm not sure it gets much more stylish than red and black.